One of the perks of working at a theater is getting to go to events for free. My favorite at the Washington Center: The National Geographic Live events. Dr. Fred Hiebert, lead archaeologist for the Valley of the Khans Project, came to Olympia in January. I was blown away by the project, a noninvasive exploration in Mongolia in search of Genghis Khan’s tomb. The challenge was the sensitivity with which it had to be conducted. Working in sacred, protected lands the project’s leader, Dr. Albert Yu-Min Lin, and his team, used noninvasive surveying technology to explore the landscape without breaking ground. 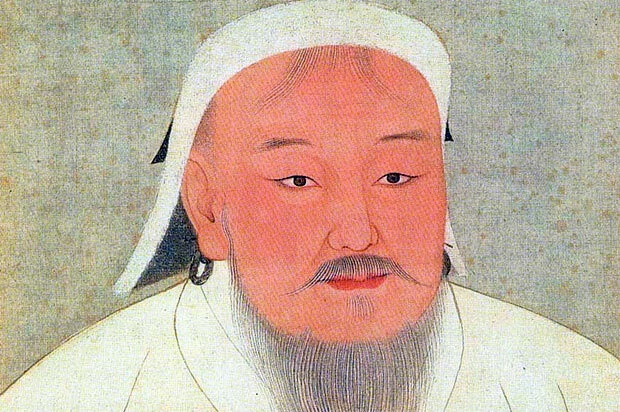 The life of the great leader, Genghis Khan, is well documented, that is, until his death in August 1227, at which point the record keeping virtually stops. His death and the location of his tomb are both shrouded in legend. Many countries claim that his burial is within their borders but its actual location remains one of the world’s great mysteries. Presented with acres and acres of terrain, Yu-Min Lin implemented a genius plan to narrow their search. He asked for the help of the general population to help identify peculiar aspects of the landscape. Satellite images of the area were put into a program that allowed anyone to get online and categorize what they saw as roads, rivers, and modern or ancient structures. After receiving layers of tags from people all over the world, the team was able to pinpoint and visit these locations. At many of these tagged point, miles and miles away from anyone, the team found ancient nomadic burial sites, untouched. 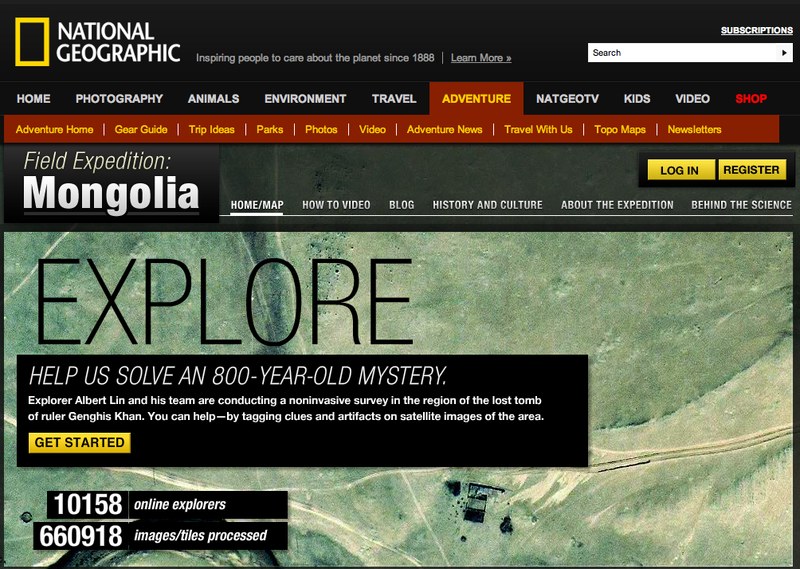 The collective intelligence of “online explorers” and the participation of Mongolian historians (experts on all that is known regarding the life and death of Genghis Khan and his family) assisted the National Geographic team in narrowing in on locations where the great leader may have been laid to rest. While it was actually a surprise storm and a chance encounter with an uprooted tree that eventually led to the discovery of Khan’s tomb, Yu-Min Lin’s decision to engage a larger group makes this project unique. Combining the use of non-invasive technologies and the intelligence of a collective emphasizes the exploration’s heightened sensitivity for the physical and cultural landscapes surrounding this particular subject. Perhaps this project represents a new form of exploration that gives more attention to the cultural and environmental impacts of its efforts. All of this being said, my only complaint would be that there were no women on the expedition!